Want to bring your parents or grandparents to Canada? If yes, you can bring your dependents through Canada parent and grandparent program (PGP). Canadian citizens or permanent residents can sponsor their parents or grandparents to become a permanent resident under Canada Parent and Grandparent Program. With the intention to join you with your families, the Canadian government has devised this program. 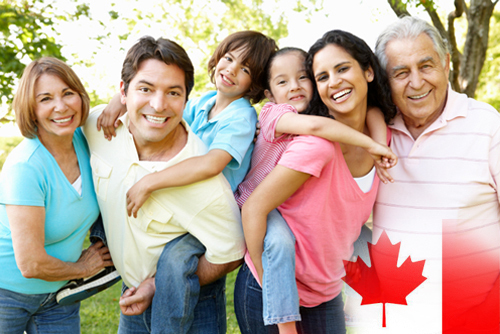 Citizenship and Immigration Canada is re-opening Canada Parent and Grandparent Program on 2 January 2015. Now, it’s time to lodge an application for sponsoring parents and grandparents to immigrate to Canada. Under Canada Parent and Grandparent Program (PGP), parents and grandparents can immigrate to Canada as permanent residents provided they must be sponsored by a citizen or permanent resident. However, sponsor and family member must satisfy certain requirements for immigrating to Canada. If you sponsor your parent or grandparent to immigrate to Canada, you must prove that you hold sufficient funds to meet their needs. You and your family member must sign an agreement that regarding financial support. The agreement also states that the dependent should make every possible effort to support themselves while their stay in the country. What are the requirements for dependents? Applicants for permanent residence must go through medical, criminal and background checks. However, applicants with a criminal record will not be allowed to enter Canada. People who pose a threat to Canadian economy will not be allowed to get into the country. People who wish to immigrate to Canada must furnish a police certificate.